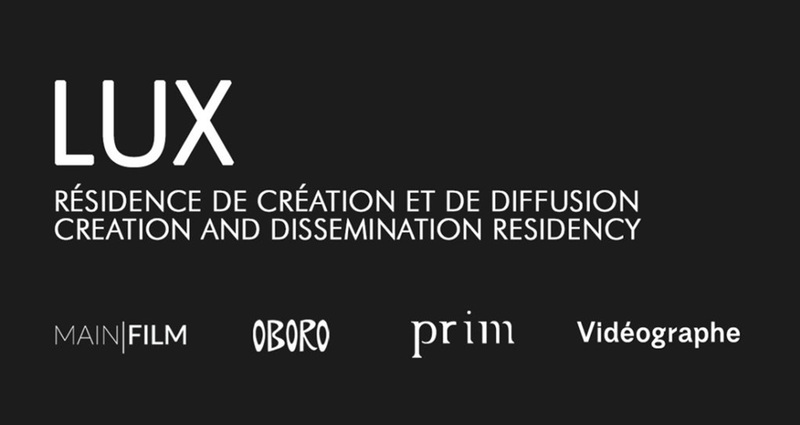 LUX is a collaborative residency offered by Main Film, OBORO, PRIM and Vidéographe, and that supports the creation and dissemination of moving image-based artworks by artists from Quebec and Canada. LUX provides digital and media artists the opportunity to create a new work with partner organizations’ support. Eligible projects include: single channel, installation, performance, and works using immersive or interactive new technologies. Selected artists have access to technical and logistical support, the combined equipment pools of all four partner organizations, as well as professional promotion and dissemination services. Artists working with technologies or techniques that are unfamiliar, yet essential to their project’s realization, may also benefit from the guidance of experts. Vidéographe will disseminate and promote the works produced through this residency. Support provided to each selected artist is valued at $32,000. Support for this Vidéographe initiative is provided through the Conseil des arts et des lettres du Québec’s Concertation et innovation program. 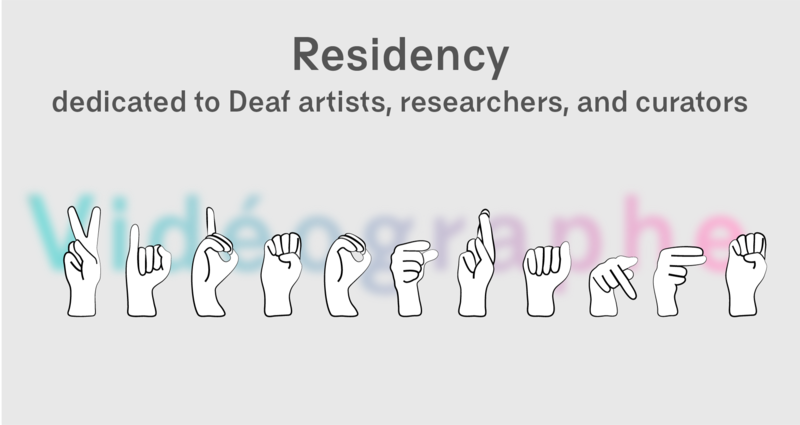 Residency dedicated to d/Deaf artists, researchers, and curators. With a view to finding fresh perspectives on moving image, Vidéographe is offering a research residency aimed at d/Deaf artists, researchers, and curators. This research and curatorial residency will be shaped according to the needs of the successful candidate. Artists may use this opportunity to carry out research to create a new work or that feeds their practice more generally. We invite researchers and curators to explore a theme or an area of research using our catalogue as a point of departure. Participants may take a thematic, formal, or historical approach, and might focus on the work of one or more artists. Upon completion of the residency, the successful applicant will deliver a presentation of his or her research to a public audience. This residency is intended for d/Deaf residents of Montréal. The successful applicant will receive a flat fee of $2,000. Artists will have access to Vidéographe’s production equipment. Researchers and curators will carry out their work in the Vidéographe offices or online via our website, Vithèque. They will be assist by our team in researching the catalogue. As the team at Vidéographe does not currently know LSQ or ASL, we will use the interpretation service, SRV Canada VRS, in addition to email correspondence. In order to enrich research in moving images and to offer diverse perspectives on its collection, Vidéographe welcomes artists, researchers and curators for research and curatorial residencies. Through their residency, participants may explore a theme or an area of research, using our catalogue as a point of departure. Artists who integrate curating into their practice are equally invited to participate. As part of this residency, we ask the selected person to develop a video program and write an essay. 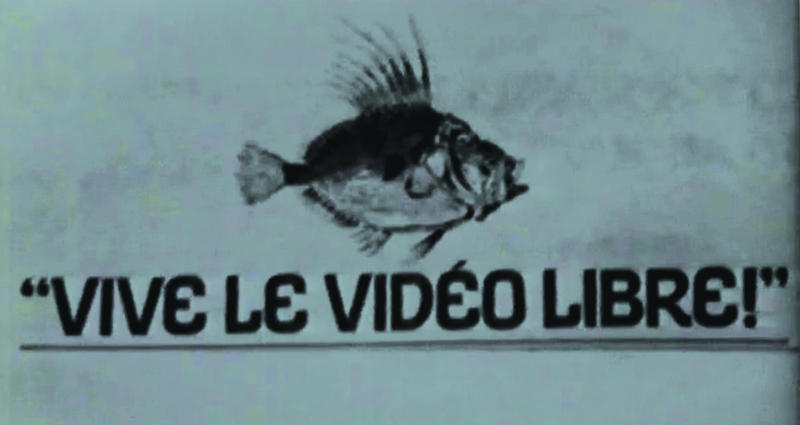 Vidéographe organizes a public screening of the programme along with a discussion and publishes the essay on Vithèque. Other activities can be organized if they serve the project. One to two people are hosted each year. Successful applicants receive a flat fee of $2,000. Vidéographe also provides accompaniment in researching the catalogue, as well as access to our collection, and our workspaces. Lucie Szechter, Sharing One’s Own Face, 2018. Le Sémaphore, collective of projectionists, 2017.